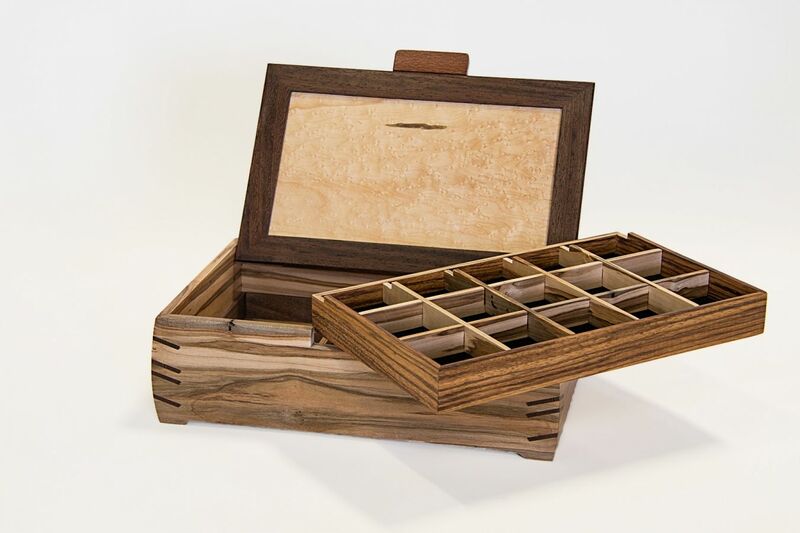 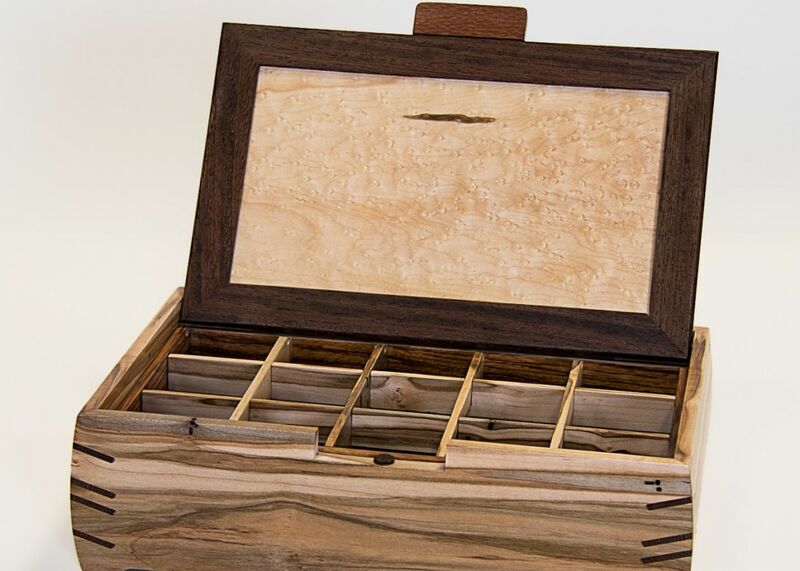 This stunning Jewelry box is created from ambrosia maple.The body is joined by wenge splines. 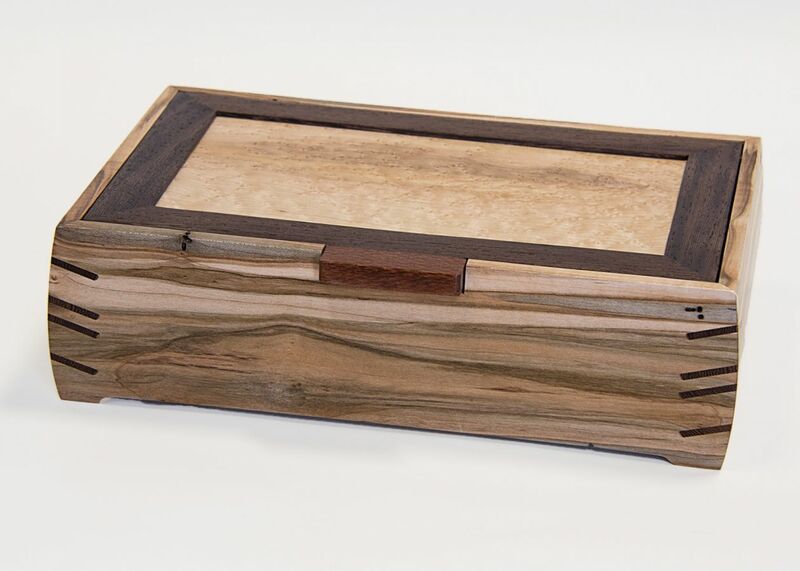 The lid is a birds eye maple veneered panel framed in wenge with a leopardwood knob. 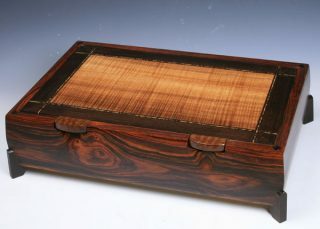 The dividers and lift out tray are cherry, and walnut. The tray and bottom are lined with beige suede cloth.